From the finer potions of foil and embossing, to serenading the presses with the deep tremble of the baritone saxophone, to attaining graphic perfection, Sarah Adams, the printing maven behind Letterpress Graphics, Inc. knits together all of these aspects into one extraordinary tapestry of craft and creativity. In between runs, we were able to catch up with her to get the scoop on printing the dream in the Lone Star state. I, PRINTER 23 year business owner; ‘85 Journalism/Print grad from East Texas State University (now Texas A&M Commerce); loves the art of foil stamping, embossing, die cutting, print…anything related to torturing oneself on LP’s. Personal: love snow sports, motorcycling, hiking on my 25 acres in Ithaca as much as possible, and music. Not sure how I forgot my other favorite “machine”, the [1927 “Chu Berry” baritone] saxophone. It’s my other break from this madness, playing bari sax in the local community band. I play the darn thing while I’m running presses (those dastardly long runs)! Like antique LP’s, it’s pure love! LOVE AT FIRST SIGHT I was a journalism student at East Texas State University, whose interest in finishing started through a work-study program. 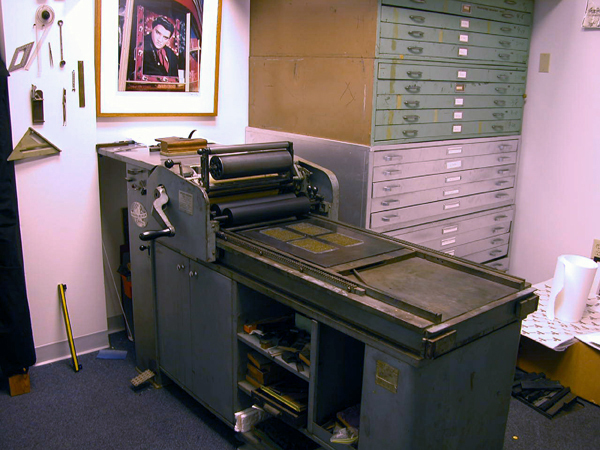 I held two jobs—one as circulation manager of the newspaper, The East Texan, and the other was working in the print shop running a C&P newspaper web press, Kluge, Baum folders, Heidelberg offset and working in the bindery. As a senior in 1984, I needed to burn internship credits and heard from a friend who worked for a Dallas finisher that the owner was always looking for help. I did the internship, and then in 1985 started full time after graduation as a Kluge foil stamp/emboss trainee (with a Bachelor’s degree). LETTERPRESS IN THE LONE STAR STATE We’re located in 10,000 square feet of awesome production space in the thick of dynamic downtown Fort Worth, Texas. Practically walking distance to world class entertainment at the Bass Hall and on the west side we have the museum district, The Modern, The Amon Carter and Will Rogers complexes, adjacent to Trinity Park and the Fort Worth Botanic Gardens. Awesome city! PRINTING MENTORS My finishing mentors would be first and foremost, my former instructor at ETSU, Lyndal Burnett, who taught me the beauty and simplicity in these machines and what they could do. 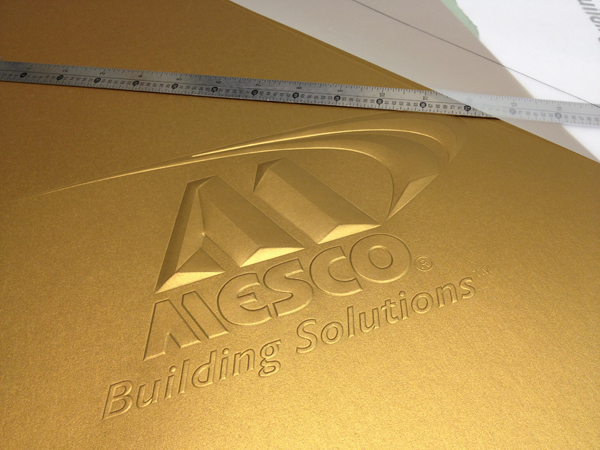 Gary Long, a former Drawing Board foil and emboss expert, gave me the finer points of foil and emboss make-readies. FULL TIME FUN I print, foil, emboss, and die cut and I’ve been involved in the trade full-time since 1985; I’ve been self-employed since 1989. Anywho, all the “girls” are still in production, along with 5 others (we ran out of names). For years my guys have referred to Edna as “Grandma”. She’s been in service daily now since 1989. PROUD MOMENTS Growing with the people and associates over 27 years that’s landed us here; leading 17 fantastic people in our quest for graphic perfection for our clients. BOXCAR’S ROLE Boxcar Press has been a tremendous help with expertise in getting things off the ground in the deep relief “hobby”. The plate set up…and of course their amazing ability to read these files and see what will (and won’t) work. I loved my tour a few years ago, too — Cathy was so kind, and we had a fantastic lunch! SHOP TIPS Business/life….it’s all the same thing to me. Most important lesson to succeed: Quitters never win, and winners never quit. Carpe Diem! 2013 is on its way! WHAT’S NEXT 2013 brings my 50th year on the planet, and with it, plans to visit Germany (my partner’s native land). On the business front, plans are to work with our clients on expanding our service offering (to be determined! 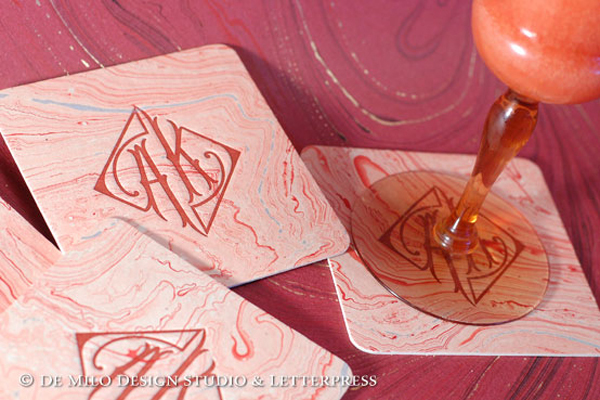 ), and with any luck, more and more exciting print projects from my amazing designers! 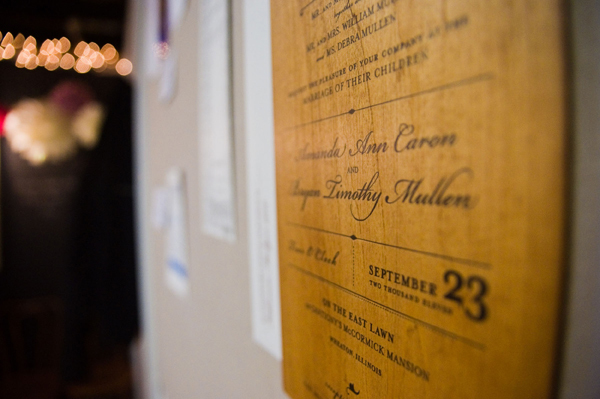 Big heaping round of thanks out to Sarah Adams for letting us get the sneak peak at Letterpress Graphics! 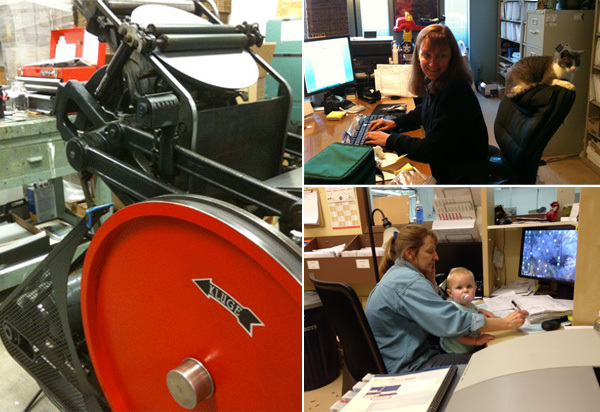 In the pressroom, Bridget Elmer of Flatbed Splendor is creative heat, cool logic, a constant of undeterred printing desire. She is the definition of adroit; passing from typesetting, to teaching classes in both the academic & community settings, and comes back around as a deft, keen machine of printing prowess bent on devouring type, ink, paper, and bindery. Bridget peered in through the letterpress looking glass in the early 2000s and became immediately enamored with the letterpress community. 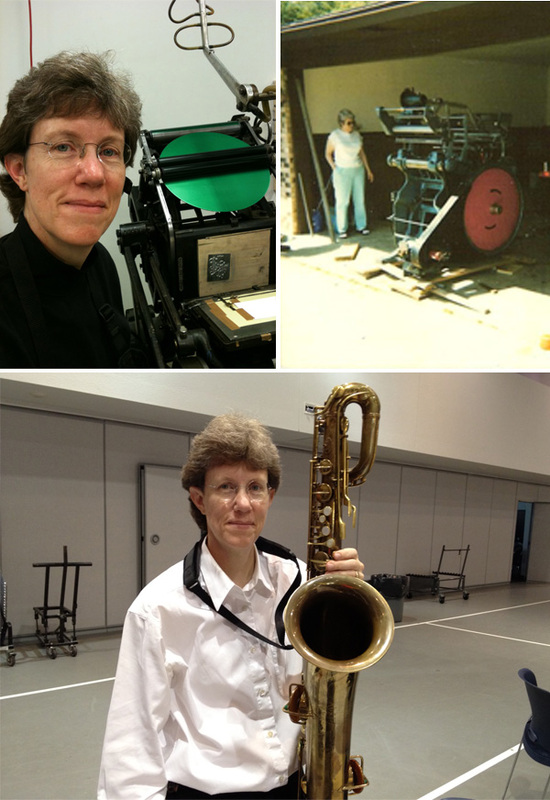 She started up Flatbed Splendor in 2007, and stays on her toes at Black Mountain College Museum + Arts Center. Her style presses the printing frontiers (e.g. multiple colors on one run, dubbed the “Rainbow Roll”) while getting the job done and then some—drawing from a library of book art knowledge to specialized printing techniques. An American splendor, Bridget let us in on the wonderful workings of Flatbed and how the ink rolls these days. SPREADING THE LETTERPRESS LOVE I am an artist, book maker and letterpress printer currently working in Asheville, North Carolina, and soon relocating to St. Petersburg, Florida. I am the proprietor of Flatbed Splendor, an independent press that I founded in 2007. 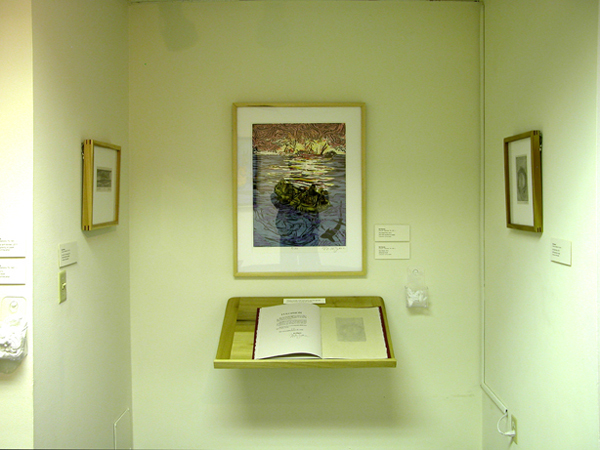 Through Flatbed Splendor, I produce artists’ books, prints, broadsides, and ephemera. Flatbed Splendor is a member of the 7 Ton Letterpress, a collective devoted to letterpress printing, graphic design, calligraphy, paper goods, invitations and shenanigans. My fellow 7 Ton members include Beth Schaible of Quill and Arrow Press, Kelly Kelbel of Tiny Story Factory, and Eleanor Annand of Two Step Press. I am also the co-operator of Impractical Labor in Service of the Speculative Arts (ILSSA), a membership organization for those who make experimental or conceptual work with obsolete technology, which I co-founded with Emily Larned in 2008. 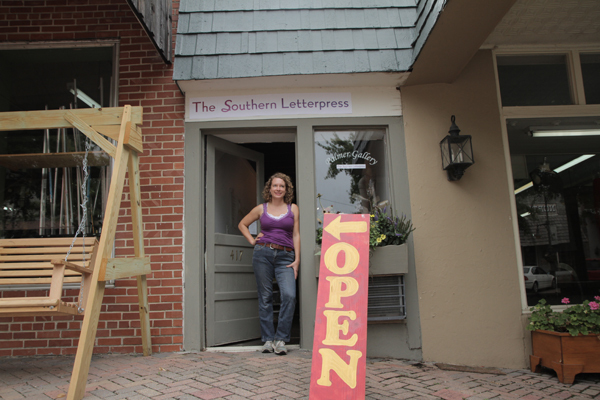 I am thrilled to report that I recently joined Jessica Peterson as co-owner of The Southern Letterpress, providing letterpress artwork, products and printing to the Southeastern United States. 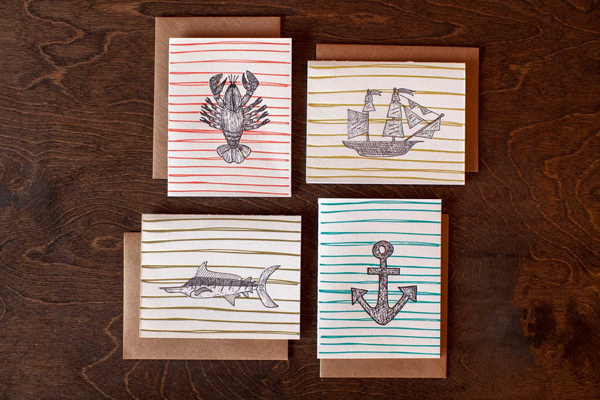 Jessica currently runs The Southern Letterpress print shop in Northport, Alabama. Upon my arrival in Florida this September, The Southern’s St. Petersburg location will soon be up and running! I received my MFA in the Book Arts (2010) and Masters in Library and Information Studies (2011) from the University of Alabama. In addition, I teach book arts in a variety of educational settings. I have taught as an Adjunct Professor at Florida State University, a Visiting Art Professor at Colorado College, a Resident Artist at The Catherine Cook School, and an Instructor at Asheville Book Works and Ox-Bow. As a member of the College Art Association, College Book Arts Association, the Southeast Guild of Book Workers, and Ladies of Letterpress, I have also presented and published my work and my intersecting fields of interest. BEAUTIFUL BEGINNINGS Ten years ago I arrived in New York City from Portland, Oregon, where I had been working in the non-profit sector for several years, advocating for affordable housing, transportation alternatives and police accountability. All of this advocacy work, as well as my interest in creative writing and poetry, led me to discover a continuing education class at Cooper Union entitled Self-Publication. The course was taught by Christopher Wilde, a book and collage artist who was a student of Walter Hamady’s and a co-founder of Booklyn, Inc., an artist-run, non-profit artist and bookmakers organization headquartered in Greenpoint, Brooklyn. Christopher introduced us to the history of the book and the artist’s book as a contemporary art form. One of our field trips for the class was a visit to MoMA to see the exhibition, The Russian Avant-Garde Book 1910-1934. I was hooked, and letterpress is what hooked me! Particularly the work of Olga Rosanova and Vasilii Kamenskii, which integrated collage, wallpaper, monoprints, and linocuts with letterpress printed, handset type and simple book forms. Soon I was spending my every extra moment in Greenpoint, absorbing all that I could from the amazing alliance of artists that Booklyn convened. I started taking classes at the Center for Book Arts as well and bought my first press soon after. OPULENCE IN THE OLD NORTH STATE It’s a crazy time for me, as I am smack dab in the middle of moving from Asheville to St. Pete. Currently, I print at 7 Ton Letterpress Collective in West Asheville. I’m going to be moving from this space on Labor Day weekend, which I must admit, totally breaks my heart. 7 Ton is an amazing, affordable studio in a mixed-use building, located in a primarily residential area of Asheville. We have a storefront with huge windows and a glass door, where we prominently display our logo, which my collaborators designed and I love so much! Behind the storefront is a large studio space, which houses two Vandercooks, one Chandler & Price motorized platen press, and two table top platen presses, as well as an extensive collection of handset type, a monster guillotine, a bunch of flat files and a collection of book binding equipment. West Asheville is one of my favorite places, so I love our location. We’re just a few short blocks from Harvest Records, the best record store on the planet; Ship to Shore Shop, the studio of artist, designer, dressmaker, and one of my favorite collaborators R. Brooke Priddy; Asheville BookWorks, a community resource for book artists and printmakers; and The Dry Goods Shop, a studio, community center and store for locally made goods. 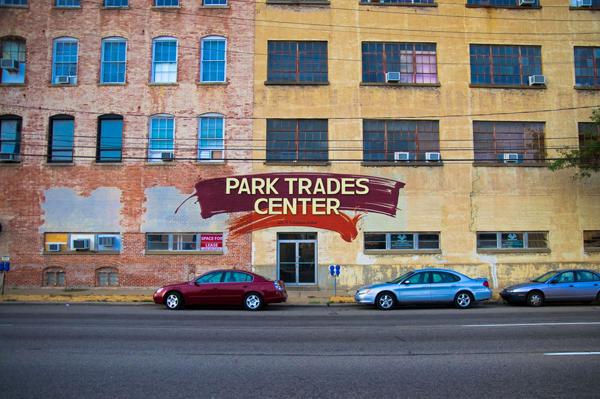 We’re also a hop, skip and a jump away from the River Arts District, a hopping, ever-expanding neighborhood that is home to over 165 working artists, including Ladies of Letterpress founder Jessica White’s Heroes & Criminals Press, as well as Mark Olson’s Innerer Klang Letterpress. Asheville is located on the Blue Ridge Parkway, nestled in the Appalachian mountains, surrounded by natural beauty and grounded in a strong tradition of craft and creativity. PRINTING MENTORS The Booklyn crew, including Christopher Wilde, Mark Wagner, Emily Larned and Sara Parkel. My Bama crew, professor Steve Miller and my fellow MFA graduates Jessica Peterson, Emily Tipps, Sarah Bryant, Frank Brannon and Ellen Knudson. The Asheville crew, Brandon Mise, Laurie Corral, Jessica White, Beth Schaible, Eleanor Annand and Kelly Kelbel. THE CREATIVE PROCESS When I design, I try to start with the idea, intention or overall feel of the project. As such, I usually start from a draft text and any available source imagery. From here, I draw up a variety of possibilities in my sketchbook. I usually move from my sketchbook to my laptop, mapping out potential layouts, trying out different typefaces and color schemes, and making my way toward a rough draft of the project. At this point, I often make mock ups if the project requires complicated imposition and finishing. If I’m planning to print from photopolymer, I continue working digitally until the design is finalized. If I plan to work with handset type, then I work from a fairly rough digital draft. As I set type and proof, the finalized design emerges. If I’m working for a client, I arrange for a proof check, either at our shop or via a digital scan, before I commit 100% and start cranking! PRINTER’S PARADISE After ten years of letterpress printing and over five years of owning my own press, I feel that I’ve evolved from a printer to a designer / printer. I’ve been trained primarily as a letterpress printer and book designer, but as my interests have expanded into experimental printmaking, custom letterpress work and the foundation of a full-fledge print shop and storefront, my design interests have also grown. I find myself doing a lot of research and self-educating with regard to the history of design and contemporary design practices. I strive to constantly be learning more in that realm. Currently, I do not print full time. I work three days a week at the Black Mountain College Museum + Arts Center, and I will soon transition to a more flexible schedule as a consultant at the museum, working the equivalent of two days a week from home. In addition to my work at the museum, I also have a sporadic teaching schedule, which can range anywhere from a two-day workshop to a semester or year as an Adjunct Professor. I would say that I currently spend about two days a week in the print shop on average. Once my move to St. Petersburg is complete, I’m hoping to spend at least three days each week printing, with the eventual goal of The Southern Letterpress being my primary bread and butter. I want to continue teaching and making my own work, so I intend to always make time for those pursuits. In my dreams, the print shop becomes a community center where I can do it all (printing, teaching, making art) in a one-stop shop! 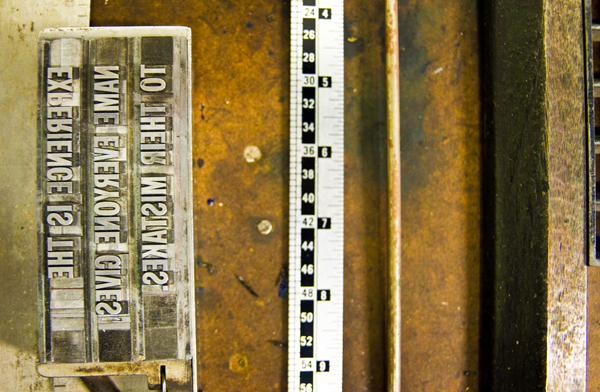 PRESS HISTORY I took Letterpress I with Richard Meneely at the Center for Book Arts, and learned how to print handset type on a small, table top platen press. When the class ended, I asked Richard if he had any suggestions for how I could find a similar press. He led me to a previous student of his, who was living in Brooklyn. She had purchased a Craftsman Superior years before after completing Richard’s class, but it was languishing on the floor in the corner of her apartment, collecting dust and cat hair. I made her an offer she couldn’t refuse and, thanks to a generous gift of type, ink and leading from Mark Wagner, I was able to set up the first incarnation of Flatbed Splendor in my apartment. PRINTING FEATS I am most proud of the collaborations and communities that I have helped to found and build through letterpress, including ILSSA, 7 Ton and The Southern. 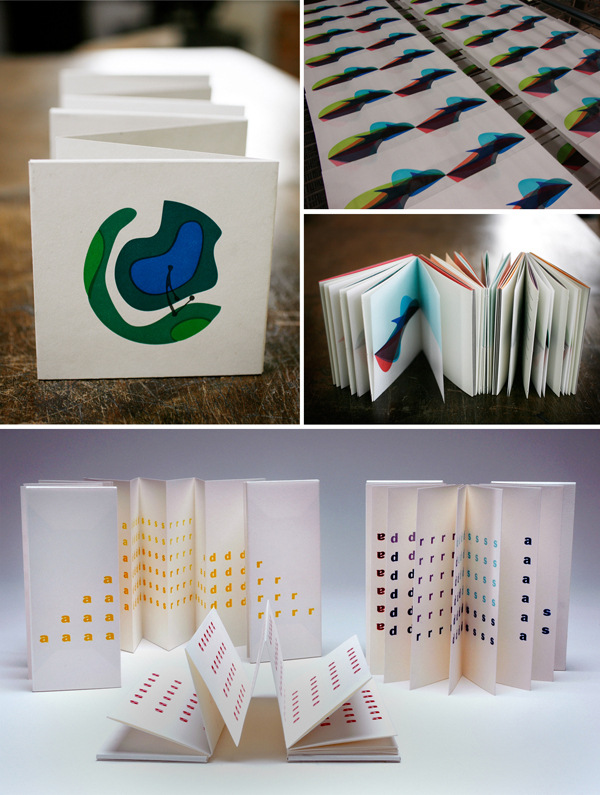 I’m also very proud of the artists’ books that I have published, each of which gives me the opportunity to learn more about designing, printing and binding. I feel a sense of pride when the back-and-forth of custom letterpress work comes to fruition in ways that please both me and my clients. 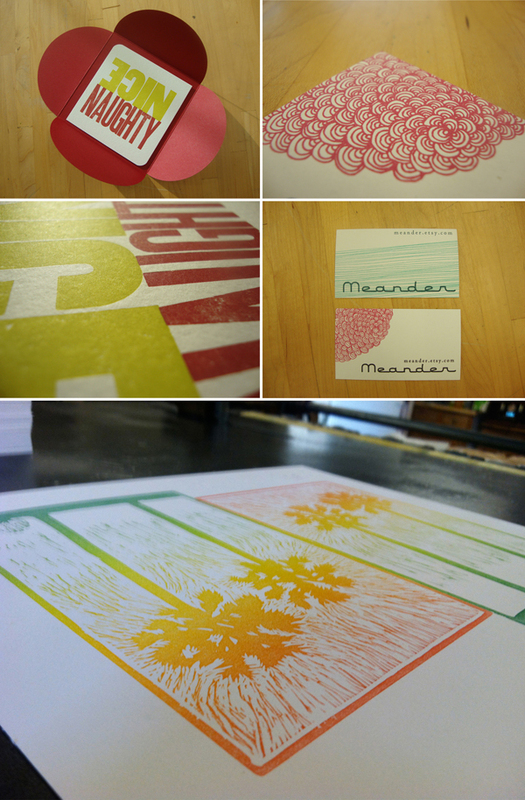 Finally, I’m super-proud of my students and always excited to watch them fall in love with letterpress. BOXCAR’S ROLE Boxcar Press has been an invaluable ally in my both my letterpress printing business and my work as an artist. In addition to enthusiastic service and a consistent, reliable product, Boxcar offers a community of support that I am constantly tapping into, both with my own work and with my students. 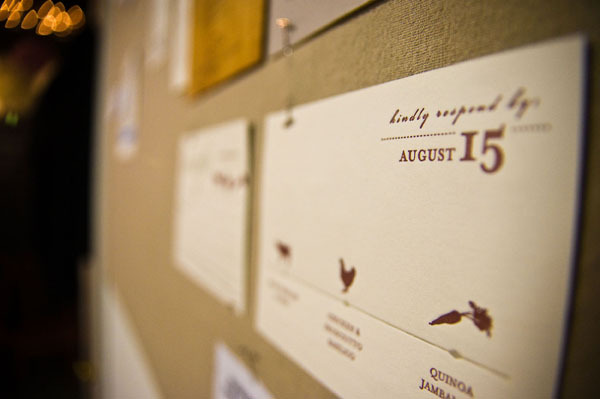 Boxcar also provides a successful, sustainable model for all of us hoping to move forward with a career in letterpress. 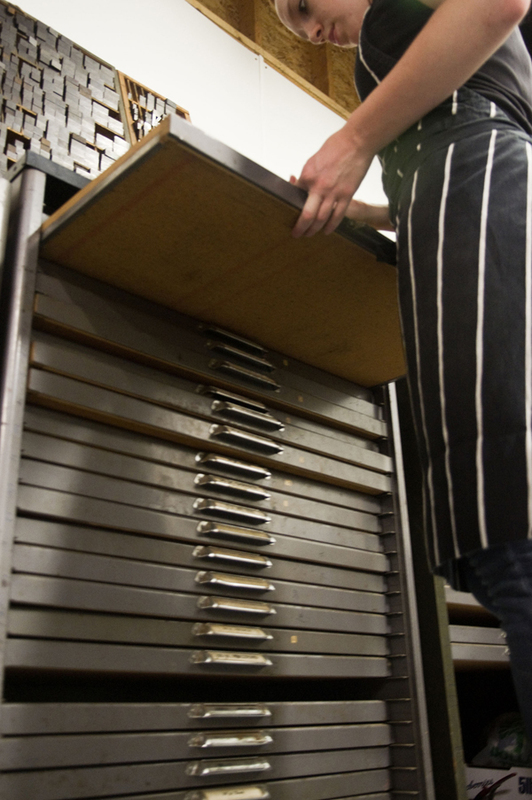 SHOP TIPS I think the best advice I’ve been given as a letterpress printer regards the importance of clear communication and the constant need to educate our clients and the public in general. 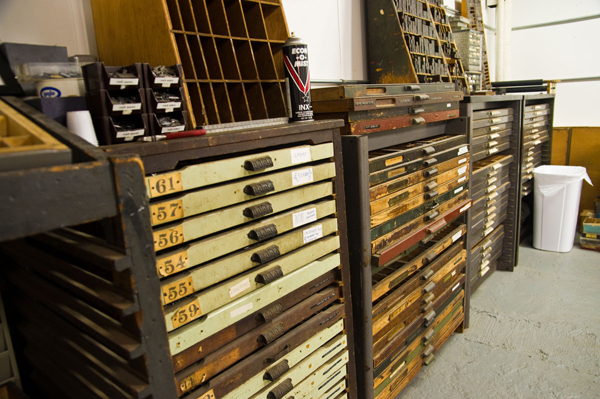 Clear policies and accessible descriptions of the letterpress printing process translate to good business and ever-increasing interest in our field. WHAT’S NEXT Funny that you’re asking right at this moment! I’m getting ready to make some big changes in the coming weeks–moving from Asheville, North Carolina to St. Petersburg, Florida, finding a new space for my shop, refurbishing a new-to-me Vandercook #4, giving my Chandler & Price motorized platen press some long-deserved attention, and hopefully, by the beginning of 2013, spending the majority of my time building clientele and making things happen at The Southern Letterpress! I’m also excited to report that I’ll be teaching a two-month concentration at Penland School of Crafts in the spring of 2013, entitled Book Structures: Innovative Forms. I’m super-psyched that Micah Currier from the Dale Guild Type Foundry will be teaching a class in Type Founding during the very same session. I can’t wait to check out their pivotal casters and get a rare peek into the type founding process! Big round of applause and a tip of the hat out to Bridget for sharing the details on Flatbed Splendor! 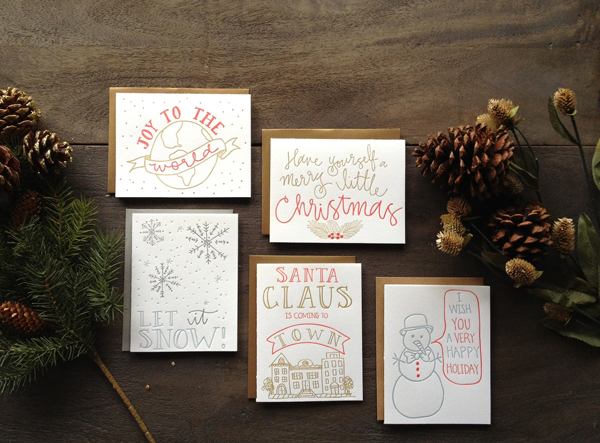 Amy Rau, of Green Girl Press, has a candid smile and jingle of a laughter that steps in time with the rhythmic clicking of her presses and fantastically-detailed letterpress designs. She’s one of those printers that can be spreading ink on the rollers while gushing about her last memorable jaunt to the most recent Ladies of Letterpress Conference down in North Carolina (and, oh the stories she tells!). 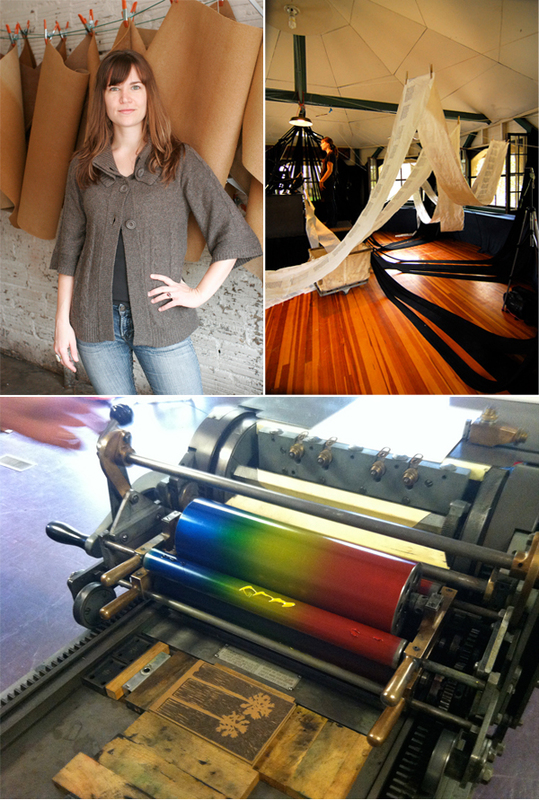 For Amy, printing weaves together a love of detail, history, and passion. This fellow Central New Yorker printing powerhouse talked with us about how she plays with her designs just as much as she does with her printing resume – read on for the full story. WOMAN ON A MISSION I’m super detailed. I ascribe to the “more is more” philosophy, even though I admire clean minimal design. I have 2 dogs & 2 cats. Vacuuming is my favorite “chore” (I can’t resist the lines it makes on the floor!). Last year I endeavored on a quest to find the perfect vegetarian marshmallow recipe (haven’t found it yet). LETTERPRESS LOVIN’ Totally by accident. I thought I wanted to take up calligraphy. By a stroke of luck, the calligraphy class I wanted to take at the GCAE wasn’t being offered for the next session so I signed up for “Type 1” now, “Lovin’ Letterpress 1” instead. I had no idea what Type 1 even was. But, within 5 minutes of my first class, I had fallen head over heels. By the second class, I knew that I was going to quit my day job and start my own press. I later took that calligraphy class and it turns out I don’t have even half the patience required to work with nibs anyway. EXCELLENCE IN THE EMPIRE STATE I have 2 table top presses that reside in my garage and I also rent space from a community print shop in Rochester, New York. There is always something new coming into the community space. A LETTERPRESS FAIRY GODMOTHER After listening to her keynote speech at the 2011 Ladies of Letterpress Conference, Judith Berliner of Full Circle Press became my unofficial “Letterpress Fairy Godmother”. Whenever I come across a sticky situation in the print shop, I conjure up a vision of her waving a magic wand and erasing my problems. It’s not really very helpful for problem solving but it does make me smile. THE PROCESS The majority of my design process occurs in my head. I use sketchbooks to make endless lists. And I spend a lot of time procrastinating. That’s probably the biggest portion of my design process. Days and days of thinking. After that, I work in Illustrator playing with different typefaces and layouts. My designs usually come together pretty quickly once I move onto the computer. I’ll play around with 3 or 4 versions of the same project and those usually evolve into a dozen or so more complex but similar designs, one of which I find successful enough to print. FULL TIME FUN I am both a designer and a printer, but I love to print other people’s designs as well. It allows me focus on printing everything perfectly without the distraction of wishing I could modify the design. I do, I do, I do print full time! I’ve been printing full time for the past year and a half, and loving every minute of it! LOVE AT FIRST SIGHT The story behind my first press is relatively unremarkable. 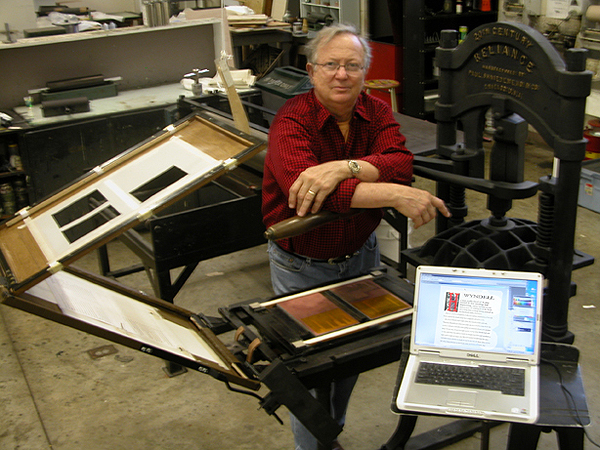 The story behind my second press, a 3×5 craftsman, goes like this: A lovely woman by the name of Shirley began emailing me telling me that her husband, Milton, had seen a newspaper article about me and wanted to sell me his guillotine paper cutter. We exchanged a few emails and then, after a brief telephone conversation, they invited me to their home. Milton had set up a personalized garage sale in his basement for me! Everything I mentioned liking was displayed on folding tables. I didn’t end up buying the cutter (that day) but I did go home with some beautiful Cheltenham wood type and my little Craftsman. It was hard not to buy up everything! PRINTING FEATS I’m pretty sure I died from excitement the first time I saw my work on Pinterest. BOXCAR’S ROLE Without Boxcar, I wouldn’t exist! 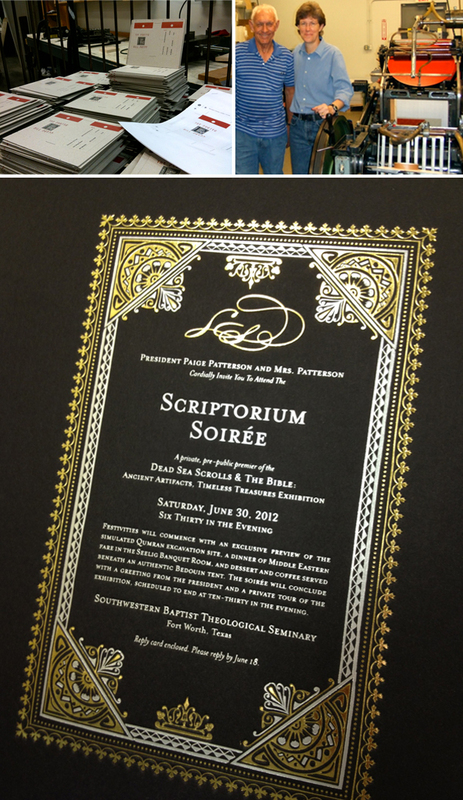 As much as I love typesetting, my real passion is in printing designs that I have created digitally. Boxcar’s platemaking is top-notch. Cathy, Rebecca and Anthony in plate making have all been SUPER wonderful whenever I have dared to spread my design wings and not known how to manipulate the files in order to print well. I also find the video tutorials really helpful. SHOP TIPS Raise your prices. 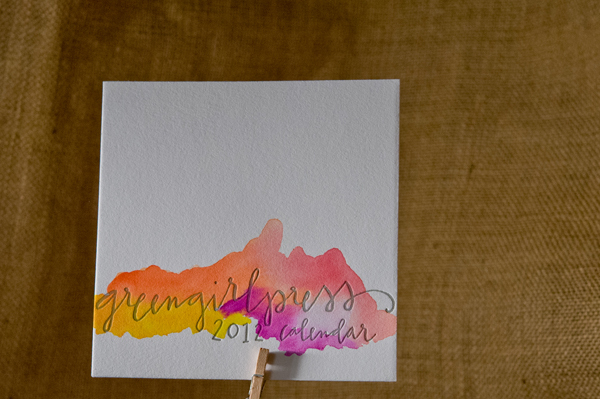 Big round of thanks out to Amy for letting us get a glimpse into the wonderful world of Green Girl Press! 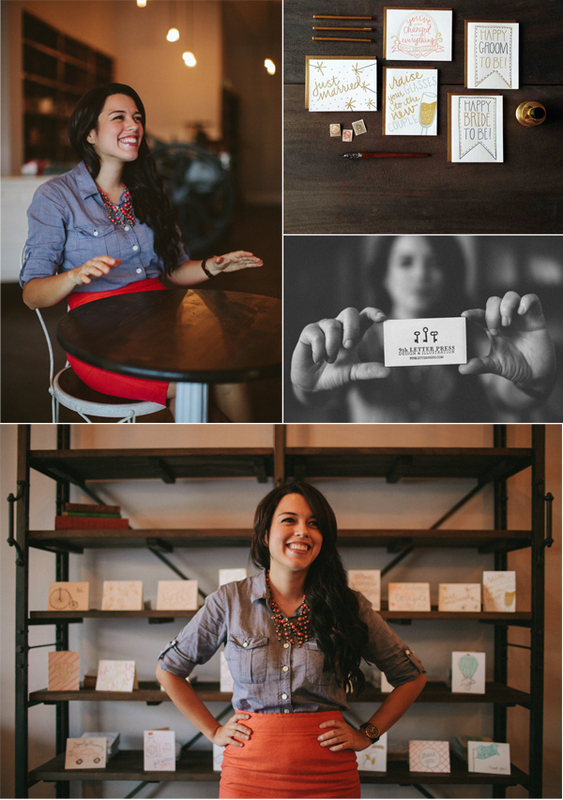 Boxcar Press sat down with Florida native and letterpress maven, Isabel Ibanez of 9th Letter Press, to talk about her first jobs, how it took one business card to change her life, and why she won’t back down from a good printing press find. 9th Letter Press plans to open up shop with a little shindig on October 27th, so if you’re in the Orlando area be sure to stop by! THE NINE LEVELS OF ISABEL I’m a Floridian/Bolivian hybrid who graduated from the University of Central Florida with degrees in English + History. I like giant cups of pumpkin flavored coffee, tall stacks of books, and heading to the cinema on an all the time basis. Many people have been asking the significance regarding the name of my company. Well, here it is: the 9th letter in the alphabet is the letter “i”. My first and last name both start with this letter and I was also born on April 9th. Nine has always been my number. Since I’m essentially starting a printing press business, I added “press” to the name as a play on what my company is and what my company uses to print. Voila! BEAUTIFUL BEGINNINGS I was working for a magazine as an editorial assistant where I would often get to observe the design process. It seemed like modern day art to me. I left my writing gig in order to go back to school to study graphic design so I can learn a little more about “modern day art”. 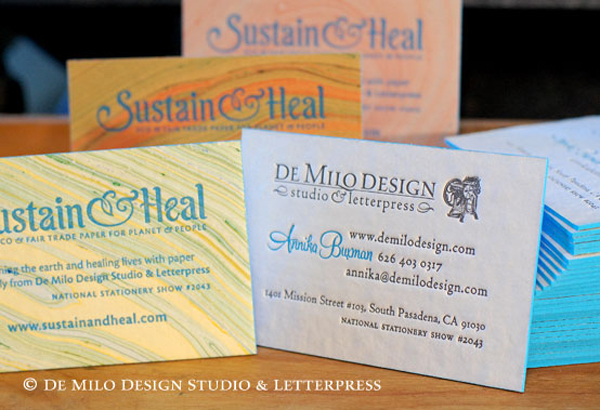 In my very first class, my teacher handed out business card samples and one of them happened to be letterpress. The effect was instantaneous. I absolutely loved it. From there, I was very proactive with my education and got an internship and a mentor. Both helped me pave a way to starting my own printing shop. SERENDIPITY IN THE SUNSHINE STATE Oh, man. I have something of a nostalgic personality and I knew I wanted my studio to reflect that. When it came down to searching for the perfect place, my heart was set on the Winter Park area. It’s quite charming and old school. Lots of brick roads, quaint houses built in the early 1900s and the like. Our studio is decorated in a turn of the century feel. I wanted to mix the aesthetics of old New York style + the industrial revolution, creating a space where Edith Wharton would feel like she could step in for tea. On top of that, I knew I wanted to make the printing process accessible to the public. 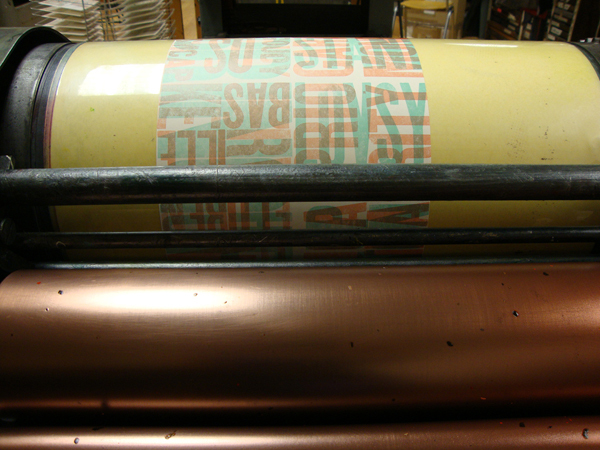 Not many people get to see a letterpress in action. 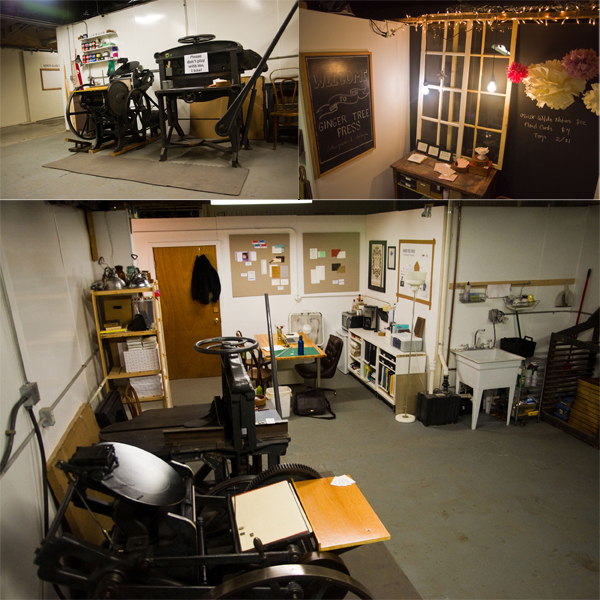 The layout in our studio has our press out in the open juxtaposing our retail section. A client could come in and see their project getting printed while drinking coffee and checking out our newest paper products. 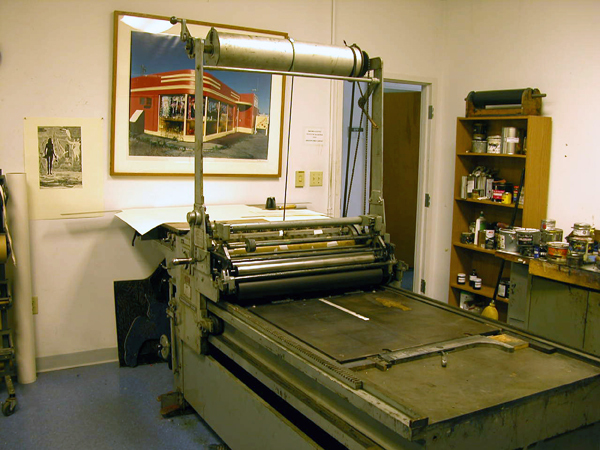 PRINTING MENTORS I interned at Mama’s Sauce, and afterward was mentored by Gary Johanson. Both have been valuable experiences. THE DREAM JOB I am the designer + printer. 9th Letter Press is my full time job, thank goodness. PRESS HISTORY I first started out with a tabletop but quickly moved to getting a 10 x 15 Chandler & Price. I searched long and hard for the right press and finally found a C&P in Seattle. Of course, I wasn’t a huge fan of the zip code that press lived in. A C&P weighs 1800 pounds or some such, which made my stomach turn whenever I thought about how on earth I was going to move the C&P across the continental United States. But then by some miracle, Sheli (my partner in crime) and I found a C&P 15 minutes down the street from my house. The owner had been printing as a hobby and was looking to downsize from living on a paved street to living on a boat. The rest is something of a blur but within a week I was the owner of a C&P, the very press I had my heart set on! PRINTING FEATS Honestly, I think my proudest moments have been recognizing that what I was doing wasn’t crazy. We all face a moment when we’re about to commit to something seemingly scary and we wonder for a minute if we’ve lost our minds. Was I really about to start a business in this economy? I never thought “working” could be so much fun. With each new thing that gets printed + designed and is well received by friends, blogs, retailers, etc., it further confirms that I’ve found my niche. I can’t believe I get to do what I do. I guess I wasn’t as crazy as I thought. BOXCAR’S ROLE Boxcar is chock full of the nicest and most helpful people I’ve ever met. I can’t tell you how daunting it seemed to me to find a place where I could outsource my plates, buy ink, and receive excellent customer service. Boxcar has all that plus the added bonus of being super encouraging. Who doesn’t need a little pep talk here and there? SHOP TIPS That timeless anecdote about no man being an island is completely true. Having a major role in so many areas in your business will take its toll, particularly if you’re wanting to go at it alone. There are resources everywhere, especially if you’re brave enough to ask for help. You’ll be surprised and moved by how much people are willing to give — whether it be proof reading an important email, hanging shelves, or packaging greeting cards, help looks like a lot of things and can come from anywhere. Just ask. WHAT’S NEXT Growing up, I loved perusing the aisles of Barnes + Noble to see the newest journals, calendars, planners, and wrapping paper. 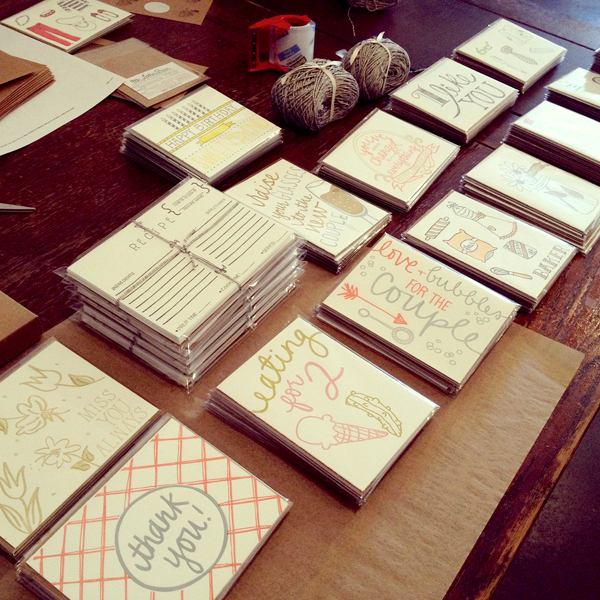 2013 will have me designing + printing some of my favorites things, and I couldn’t be happier to explore other paper products. 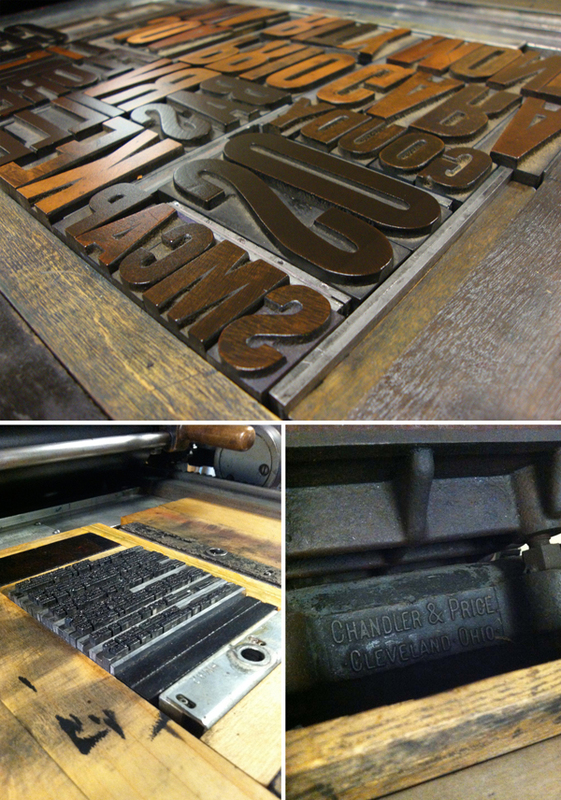 Extra heap of thanks to Isabel for letting us get a sneak peek over at the wonderful workings of 9th Letter Press! We’ve all heard the old adage that you should never mix business with pleasure, but Jessica Peterson, founder of The Southern Letterpress & Paper Souvenir would delightfully debate that. 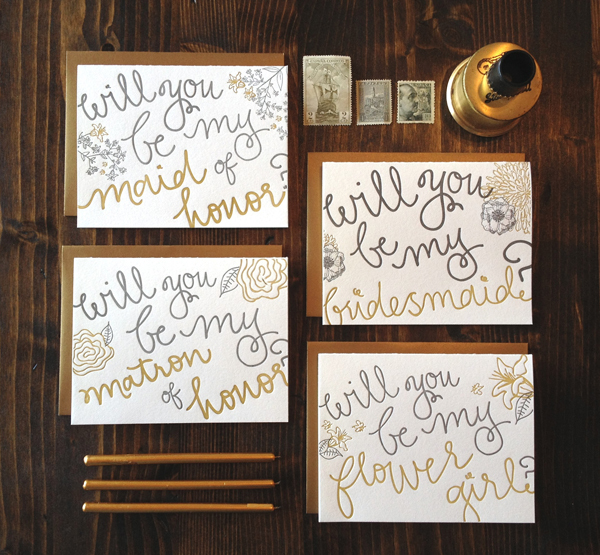 She’s built a business creating fine quality letterpress posters, cards, and printed goodies from her unusually narrow studio and in just three years, she’s cultivated a rich print media history to match her passion. A former fellow Central New Yorker, she’s weaved her printing prowess through three different states, creating a body of print work that caters to the art of letterpress. Here, we got a chance to catch Jessica between runs and to find out why Art Night in Northpoint, Alabama is extraordinary. SOUTHERN CHARM I run The Southern Letterpress in Northport, Alabama. It is the narrowest print shop in the country: 6 feet wide and a city block long. 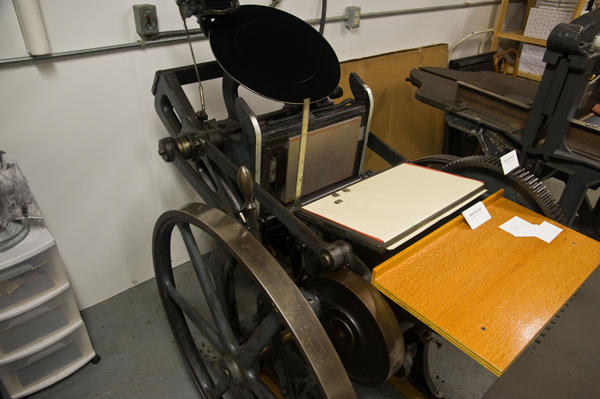 In it, there are 52 cases of type, a basic bookbindery, a photo polymer plate maker and a Vandercook SP-15 printing press. 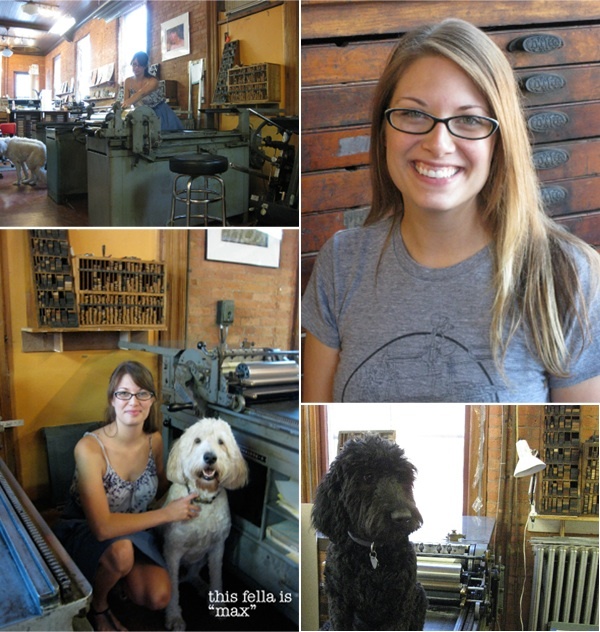 I’m a book artist and letterpress printer, originally from Rochester, New York. 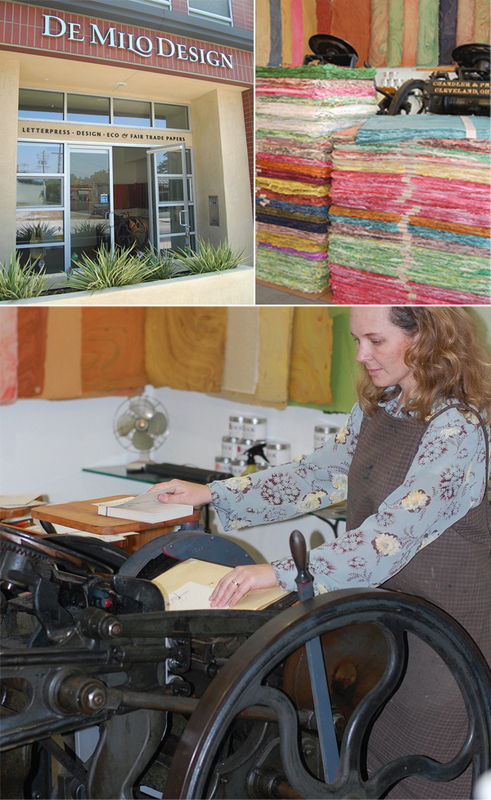 I’ve been making artists’ books and multiples since 1994, and letterpress printing since 2006. My collaborator Bridget Elmer and I are building The Southern Letterpress to provide letterpress artwork, products and printing to undeserved areas in the Southeast. I work in Northport, Alabama, and Bridget is setting up shop in St. Petersburg, Florida. LETTERPRESS PASSION I took a weekend class at The Center for Book Arts in New York because I wanted to print a book with beautiful text. 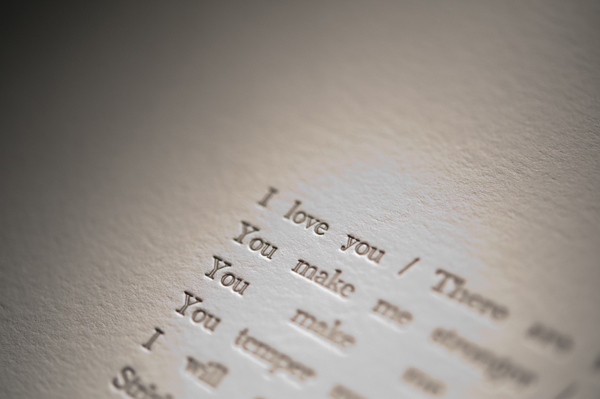 I had been making digitally printed artists’ books and multiples, but when I saw the level of craft involved in letterpress, and how great the type looked (especially compared to a digital print), I was hooked. I soon left my day job in commercial print production in New York City to move to Alabama where I studied letterpress as part of my MFA in Book Arts at the University of Alabama. Since then, letterpress printing has slowly dominated my life and has become the impetus for many major life decisions. 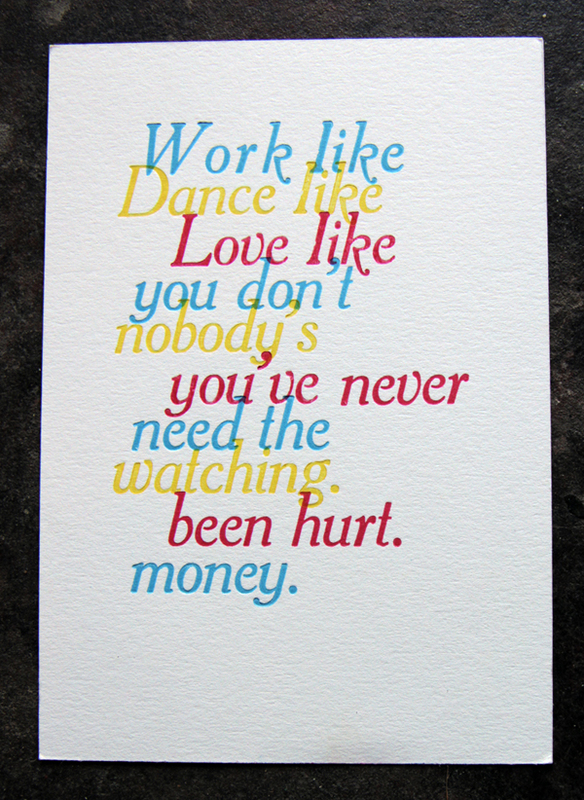 Printing is what keeps me grounded, especially now that I own like 3000 pounds of letterpress stuff. INKING UP IN THE HEART OF DIXIE My print shop in located in historic downtown Northport, Alabama. The space used to be an alley between buildings which someone put a roof over and made into a long, narrow building. Before I moved in, the space was used as an art gallery, a lunch counter and a newspaper office. I’m across the street from The City Cafe, which has one of the best meat and three lunches. The Southern is next to a locally owned and very well stocked hardware store, Anders. Kentuck, an amazing art museum, is one block away. I am part of Northport’s monthly Art Night. I typeset a simple, one color, text-based broadside, and invite everyone in the community to come try out the Vandercook and print one copy for free. 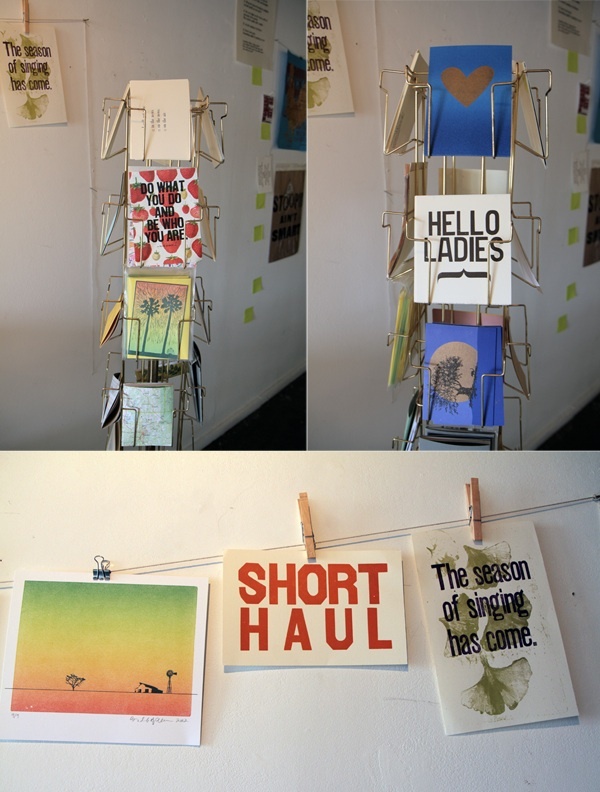 The idea is that if you visit the shop every Art Night, you slowly accumulate a portfolio of prints for free. 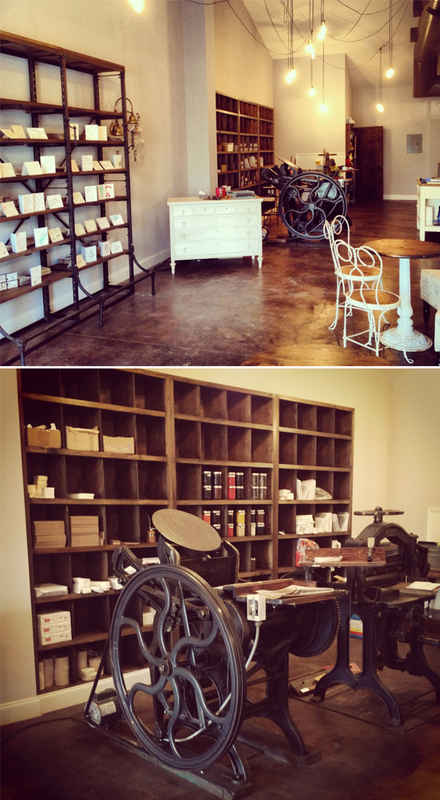 I started the print shop in Columbus, Mississippi, one floor above a still-printing newspaper press. The name of The Southern came from the first newspaper printed in Columbus, in the 1850’s. PRINTING MENTORS Glenn House Sr., Joan Lyons, Amos Paul Kennedy Jr., Sarah Bryant, Jessica White, Bridget Elmer, Emily Tipps, Walter Hamady (Hamady is a mythical mentor, because I am mentored by looking at his work… I’ve never actually met him) and Steve Miller. THE DAILY GRIND I like to collect narratives, and print them typographically. 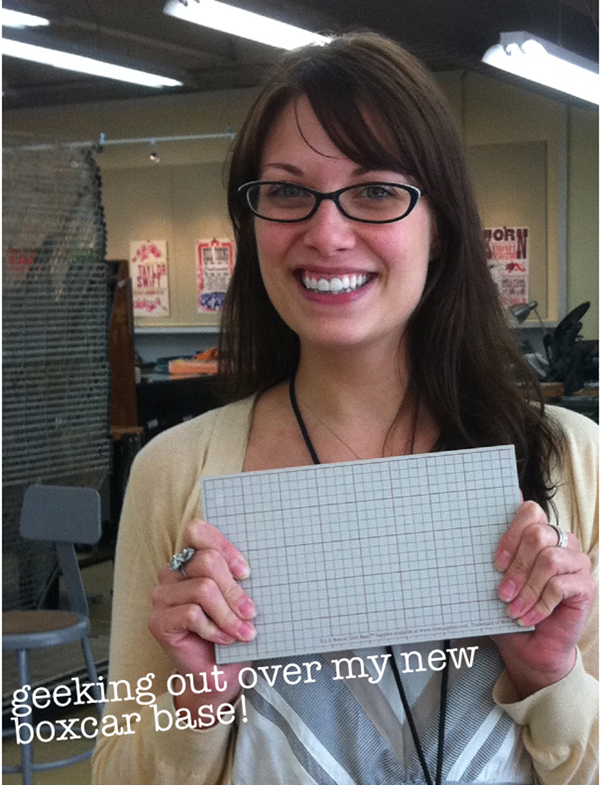 I can’t draw (even after years of art school) so I love letterpress because I can use printed words to create image. The narratives I collect range from a simple quote to a whole story. For example, I have a postcard that reads “short haul”. This is a phrase from Gordo, Alabama used to describe the process of moving a large and heavy object a short distance, as in “I’m going to short haul this Vandercook across the street right now.” I also collect longer narratives about a range of topics: race in the United States, hurricanes and forgotten places. I make these narratives into artists’ books. Cause and Effect, which I wrote, made the paper for, designed and printed, describes how I learned about my connection to the 1964 race riot in Rochester, New York while living in Alabama. FULL TIME FUN I am a designer and printer. My goal is for my day job to be printing, both commercially and as an art practice. Part of the challenge of working in an area without much letterpress or art is that you have to introduce your potential clients to the medium, and teach them about why they should want letterpress printing. 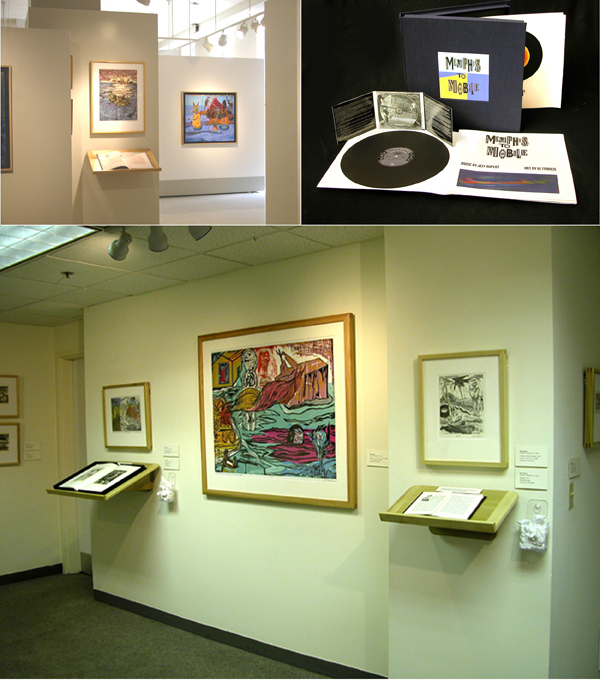 I sell my artist’s books to special collections, and my prints in area stores. Right now, I’m working on a line of souvenir postcards for Columbus, Mississippi and Northport, Alabama, two places that have tourists, but no postcards. 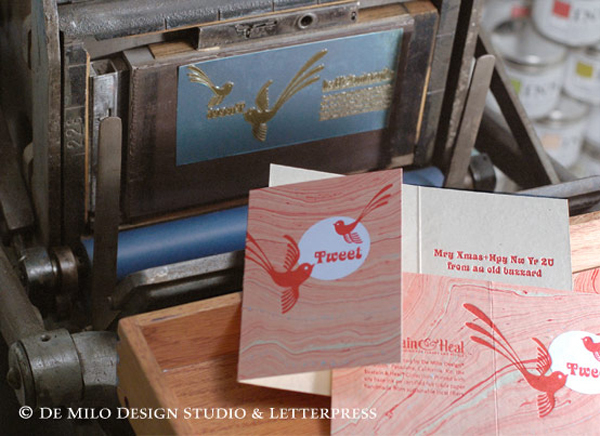 I teach book arts, graphic design and letterpress to make ends meet. LOVE AT FIRST SIGHT I found my Vandercook SP-15 in 2009 in the basement of an old farmhouse in New Jersey, where it was sitting disassembled in about 10 different parts for the previous 20 years. It was very dirty and rusty, and no one knew if it would even work. The only way to get it out of the basement was to lift each piece through a small 1 foot by 3 feet basement window. I had pieces shipped down to Gordo, Alabama where I was living. I spent a year and a half removing rust and cleaning the parts, and figuring out how to put the pieces back together. Through that process, I learned how Vandercooks work. I know my press very well. SPREADING THE ART OF LETTERPRESS I am proudest of how I got my press and my work. I try to use my press and printing to serve my community in some way. The places where I live don’t have a great deal of access to art, graphic design, typography. Sometimes I miss living in a big liberal city like New York City, but I am proud of the work I do in Alabama and Mississippi to spread art and printing. BOXCAR’S ROLE My Boxcar base! I like to print artists’ books on handmade paper, and photopolymer plates make that process feasible. My last book, Ma’Cille’s Museum of Miscellanea, was 80 pages, and about 14,000 words. Without photopolymer plates to print the text with, I would still be typesetting today. Also, even though I’ve adopted the South, I will always have my upstate New York rust belt pride, and therefore I love supporting a company in Syracuse. SHOP TIPS I think no matter what, you have to keep printing and keep finding things that you are interested in printing. 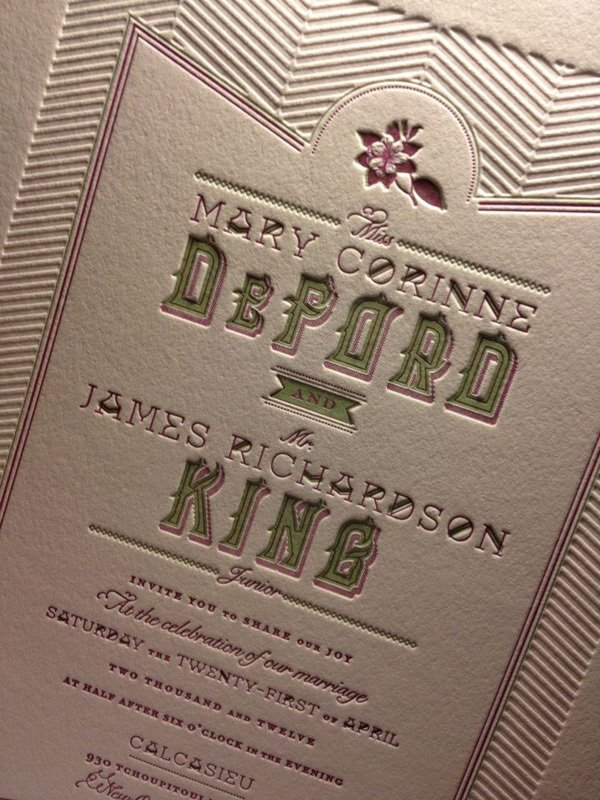 A huge rolling round of thanks out to Jessica of Paper Souvenir for letting us get a glimpse of her letterpress finesse! Michigan is a swirling eddy of vibrant creativity and a full force of passionate people. 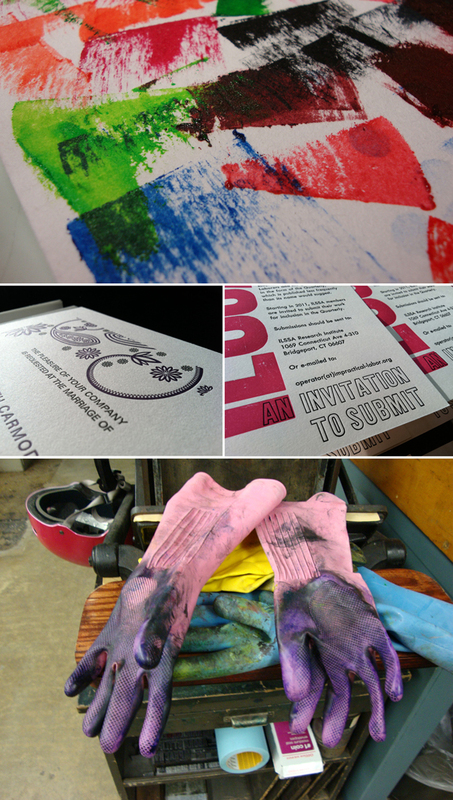 From the endless cherry farms in Traverse City, the delightful scents of pasties cooking in the breathtaking U.P, and of course, the energetic letterpress work of Anna Tomlonson of Ginger Tree Press from Kalamazoo. Working with a keen know-how of typography and a fiery passion for detail & craftsmanship, Anna stops for a minute between runs to let us in on the loves and labors of letterpress. 1-2-3 TYPOGRAPHY I have a BFA in Graphic Design from Western Michigan University. I thought I wanted to go into Interior Design, but a freshman foundation design class and a lecture on typography by visiting designer Wolfgang Weingart prompted me to apply for the Graphic Design program instead. It was the idea of typography that is what first drew me to graphic design and, later, to letterpress. GIVING SOME LOVE TO LETTERPRESS A few weeks before picking up the press, I took a letterpress workshop at the Kalamazoo Book Arts Center, which is located just down the hall from my current studio space and has been a great resource. In the workshop we learned the basics of setting type, locking up a form, and proofing a design. My Chandler and Price was quite different than the presses we worked with in the workshop and when I started printing on my own, I only had a vague idea of how my press ran, which I gathered from taking the press apart to move it. It was a combination of Elementary Platen Presswork by Ralph W. Polk, Boxcar Press’ videos, and a good deal of trial and error that helped me amass what printing knowledge I have. As I became more comfortable with printing, it felt more and more natural. I have always been very detail oriented and I have fallen in love with the problem solving that printing on a hundred year old press requires. In my design work I have also always been most interested with the substrate, in fact, it was the basis of my bachelor’s thesis. Having such a close relationship to paper choice and printing technique is one of the things I find most exciting about letterpress. MUCH ADO IN THE MITTEN My studio is in a building called the Park Trades Center, it is an old warehouse that was converted to artist studios in the early 80’s. It is right downtown and participates in Kalamazoo’s Art Hops, a monthly event where downtown businesses host area art work and artists open their doors to the public. It has proven to be a great marketing tool. INSPIRED BY CRAFTSMANSHIP While I don’t have any one particular printing mentor, I am always inspired by printers whose focus is craftsmanship. CREATIVE GEARS IN MOTION I always start a design on paper, creating a word list before I even start sketching. If I am working for a client, I am trying to find a direction that is appropriate for their particular project. If I am working on a project for myself it helps to narrow down my focus and create guidelines for the project. I have found there is nothing more challenging than a project with no restrictions – it is hard to do anything when you can do anything. DESIGN + PRINT Since my background is in design, I often think of myself as a designer first and printer second. My work falls into three categories: non-letterpress design work, letterpress for fellow designers, and most often, seeing the job from ideation and design through printing. FULL TIME FUN? I don’t print full time, yet. I also do the food ordering for a local gourmet food and wine shop. Half of the week is pure studio time, and the other half I like to print after work with a chunk of cheese and a glass of wine. LADY LUCK I found my first press very much by chance. A friend of my dad’s was trying to sell his parents’ house, which had a complete print shop in the basement. They were struggling to find someone willing to buy everything and, preferring not to turn it into scrap, they were looking to give it away. At that point owning a press was more of a long-term fantasy than short-term goal, but it was an opportunity I couldn’t pass up. To say moving the press was a struggle is putting it lightly. Thankfully, I have some dedicated friends who spent a 17 hour day with me, in mid-August, hauling as much as we could out of that basement and back across the state. SHOP TIPS Find mentors and ask for help, both in business and in printing. While there is something to be said for figuring things out for yourself, building a network and learning from other people’s experience is an invaluable asset. WHAT’S NEXT Next on the list of skill sets to teach myself is die cutting. An old blueberry box full of dies was one of the treasures that came with the press, and I’m excited to put them to use. I am also planning my first workshop for this fall and starting on designs for a full holiday collection. 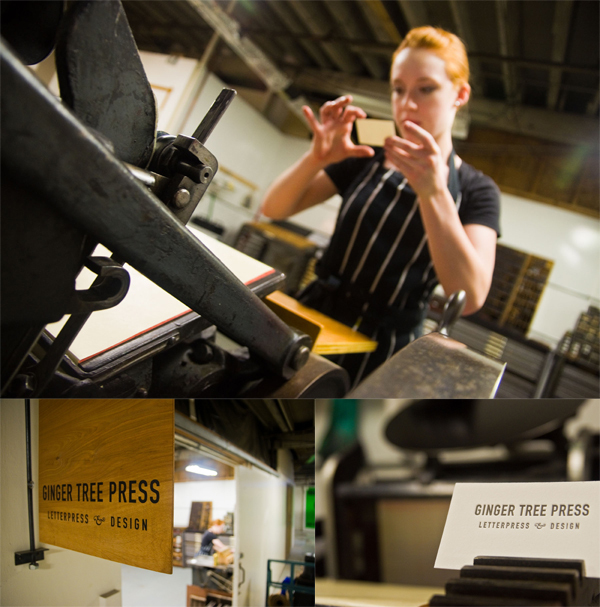 Huge thanks to Anna for letting us getting a sneak peek at Ginger Tree Press! 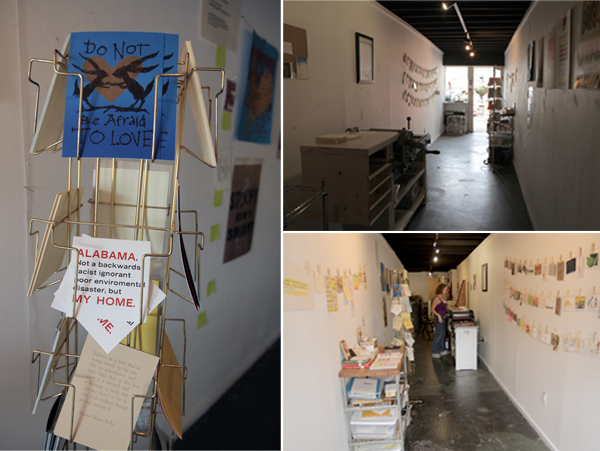 It has been over forty years since Ke Francis of Hoopsnake Press and Flying Horse Press set up shop in the creative haven of Tupelo, Mississippi. But recently, Ke has been bitten by the revitalizing bug and it shows—from spirited gatherings (with spirits) at the academic mecca of the Bellagio Center, revamping his dear and true Hoopsnake Press, and having his work shine in a multitude of galleries and collections, including The Polaroid Collection. Here, young-at-heart Ke reveals the awe-inspiring interstices found in the lush canopy of design and message. AN ARTIST WITH MANY TALENTS I am a narrative artist with 40 years of experience. 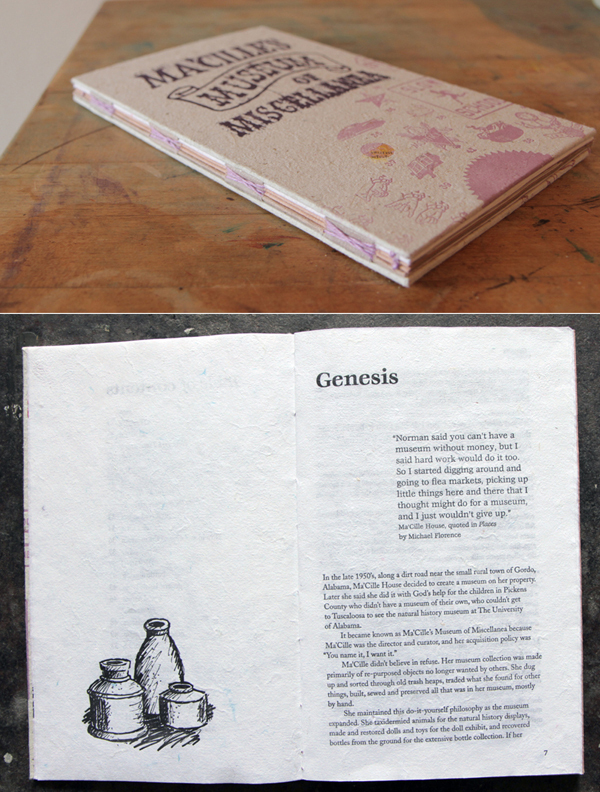 I came to be involved in book arts because I had written stories that I wished to publish and I am a trained printmaker. I set up a studio in Tupelo, Mississippi in 1970 and worked there as an independent professional artist / book artist from 1970 until 1996. I am presently in the process (a two year project) of moving my studio back to Tupelo. In 1996 I moved Hoopsnake Press to Orlando, Florida and became the Director of Flying Horse Editions at the University of Central Florida. Over the past 15 years FHE has had two other directors (Ryan Burkhart and Theo Lotz) and the press has become a world-class facility with their help. I have served as a tenured professor in a number of administrative capacities during that time period, but have always maintained Hoopsnake Press and an active studio career. I am represented by Lowe Gallery in Atlanta and regularly exhibit there. My book works, paintings, prints, photographs and sculptures are in numerous public and private collections including The Getty Museum, National Gallery, National Museum of American Art, High Museum, New Orleans Museum of Fine Art, San Francisco Museum of Contemporary Art, Yale / Sterling Memorial Library, Van-Pelt Dietrich Collection, and The Polaroid Collection, among many others. THE ADVENTURE BEGINS I went to Italy on a Rockefeller Grant to the Bellagio Study Center where I was lucky to spend time with some very interesting professionals, including Carl Djerassi (Djerassi Foundation in California), Rollo May (psychologist), Paula Fox and Martin Greenberg (authors) and many other interesting characters. We drank bourbon and read each other stories in the evenings for entertainment. I was encouraged to find a publisher. Following up on their suggestions, I went to see Andy Hoyem in San Francisco. 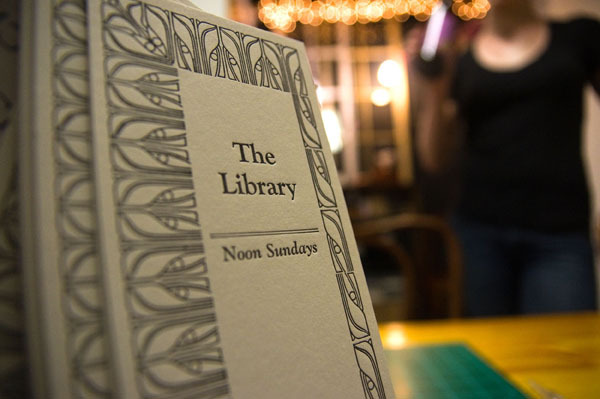 He shut down Arion Press for the afternoon and I read them short stories and showed them my woodcuts. Andy was interested and liked the work but he realized I wasn’t as well known as the artists and writers he has chosen to publish (Dine, Motherwell, James Joyce, etc.) and he would have a hard time selling my work. He’s a good person and a smart businessman. I returned to Mississippi, entered a national print competition with a woodcut and won first prize (Warrington Collescott was the juror) and met a person at the exhibit reception that wanted to sell a 14.5 x 22 C&P. I bought the press then and there and hauled it back to Tupelo. With no formal instruction I printed my first book, Jugline, using woodcuts and lead type. This strikes me as silly to have started on this letterpress venture with no formal training but I did have friends who were commercial printers and they were helpful. I sold over 150 copies of Jugline and it is in some terrific collections. Letterpress printing would represent about 15% of the concept development and production of one of my projects so it probably makes sense that my mentors cover a wide range of disciplines. Jim Trissel was an early letterpress influence. I went to Colorado College as a visiting artist, at his invitation, and got interested in his early work with photopolymer. CRAFTSMANSHIP SHOULD BE NEARLY INVISIBLE The history of printing has produced an amazing group of specialists who have traditionally worked on the collaborative efforts involved in the writing, designing, illustrating, printing, and binding of a book. Each of these processes have their own heritage and history. These craftsmen and artists have devoted their whole lives to their portion of these collaborations and it is not unusual at fine press sites to find projects involving writers with fifty years of experience, designers with fifty years of experience, illustrators with fifty years of experience, printers with fifty years of experience and binders with fifty years of experience. The sum total of their experience is often 250 years (or more). I respect these collaborative craftsmen and artists and often am amazed by their facility and their faultless production. I really have tried, throughout my career, to stay focused on the communication of concepts and ideas and in order to do that I have maintained the position that I am neither an artist nor a craftsman. If the first response to one of my works was, “it is beautifully printed – beautifully crafted” then I would certainly feel that I had failed in my effort. If the first response was an intuitive strong emotion based on the content of the work then I would feel pretty good. I am of the opinion that the assessment of craftsmanship should be (at least) a secondary response to a communicative object. Craftsmanship, in my estimation, should be nearly invisible. SOURCES OF PRIDE I am proud to be a contributing member of an artistic community whose primary purpose is to encourage and support the highest cultural ideals. I am proud to have been directly associated with so many brilliant and talented people, and I am proud of my family (immediate and extended) and their ongoing contributions to make this a better society. BOXCAR’S ROLE Boxcar Press has played a supportive role in my efforts since Boxcar began. Early conversations about my work, advice on plate making, technical support for the photopolymer processing, printing advice and sometimes just swapping funny stories and the moral support given by Harold and all of the employees has helped me through relocations, equipment moves and the many ongoing frustrations associated with trying to achieve the experience necessary to produce the work at hand. THE PRESSES It’s a long story [laughs] involving a bunch of great folks and many presses. C&P’s, Challenge Proofers, large and small Vandercooks, Pocos, Etching presses I built and purchased, and the old Reliance – I still own them all. SHOP TIPS The best piece of applicable advice came early in American history…Ben Franklin said, “He who teaches himself has a fool for a master.” Hard to argue with or improve on that statement. I have flown in the face of that advice and paid a heavy price. I have also learned some really innovative and interesting stuff from my mistakes. All of which would have not occurred if I followed some master’s advice. The important part of the quote is that it informs you, early on, that the creative and innovative path isn’t a pleasant experience….maybe rewarding, but not pleasant or easy. WHAT’S NEXT I am currently on Sabbatical from the University of Central Florida where I maintain a research space as part of Flying Horse Press. I intend to finish some book projects that are long overdue and work on a series of paintings and engravings based on the theme of “Rafters” (people and animals isolated on rafts in dire circumstances)…stories will follow the graphic work and the books next. I have several one person exhibits (Florida Mining Gallery in Jacksonville in the Fall and Piedmont College in Georgia this winter). I am in the process of upgrading my studios in Mississippi and expect to be in production there again by the Fall of 2014. Big round of thanks to Ke for letting us get the double-scoop on both Flying Horse and Hoopsnake Press! 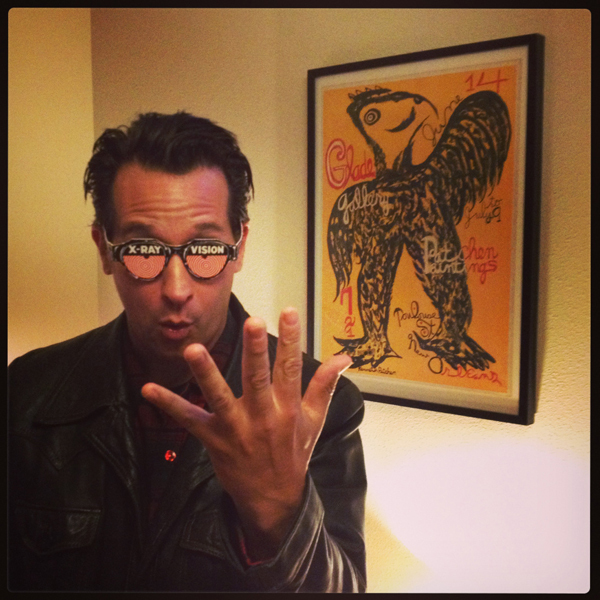 From mind-boggling multiple color runs to must-have limited editions, from vinyl to Hunter S. Thompson, the elusive (and quite captivating) Johnny Brewton of X-Ray Book and Novelty Co. has a great story — read on to find out how he got started in letterpress printing and where his business is heading. LETTERPRESSED FOR DETAILS I’m a letterpress printer, graphic designer & small press publisher with a focus on limited edition projects. I publish the assemblage magazines X-Ray & Bagazine plus assorted chapbooks, broadsides, artist books and miscellaneous odd print projects. PRINTING AS A NECESSITY I was living in the San Francisco Mission district in early 1993 and began work on the first issue of X-Ray. It was to be a limited edition assemblage journal of sorts, non-disposable with original art and hand printing similar to a copy of Wallace Berman’s Semina. 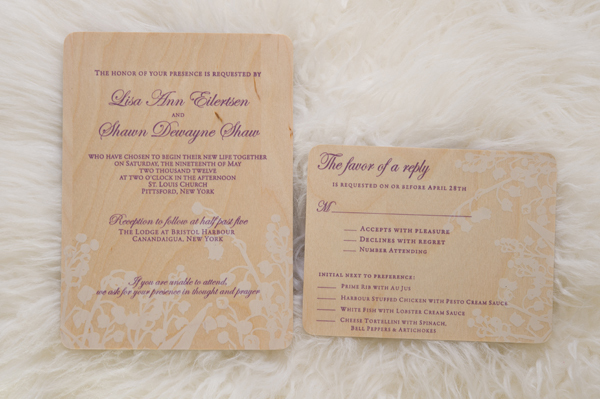 Letterpress was the perfect tactile medium. So I began designing the inserts for letterpress, and paid printers like Artnoose and The Toxic Coyote to run them for me. 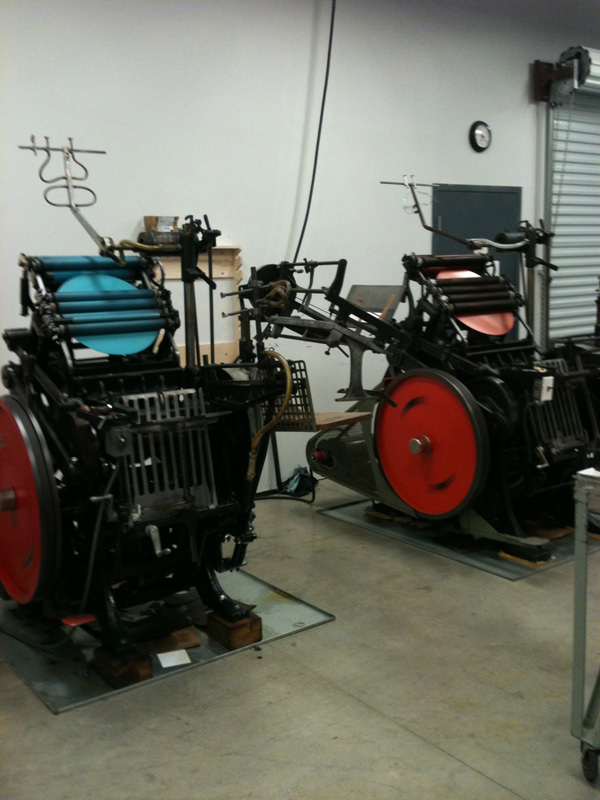 Eventually – and out of necessity – I acquired my own press and began doing the printing myself. WEST COAST WONDERS We go back and forth between our house in Grass Valley California and our apartment in San Francisco (lower Haight). My studio is located in the basement of the house my Dad built (in Grass Valley). We’re on 5 acres surrounded by Cedar, Black Oak and Sugar Pine trees. It’s a nice place to work & call home. PRINTING MENTORS Jon and Louise Webb who published Outsider (Loujon Press), Wallace Berman (Semina), Graham Mackintosh (White Rabbit Press) and of course H.N. Werkman. THE DAILY GRIND Step 1. Wrap my head around the obvious big idea and make a rough first draft – just to get it out of the way and grasp the concept. Step 2. 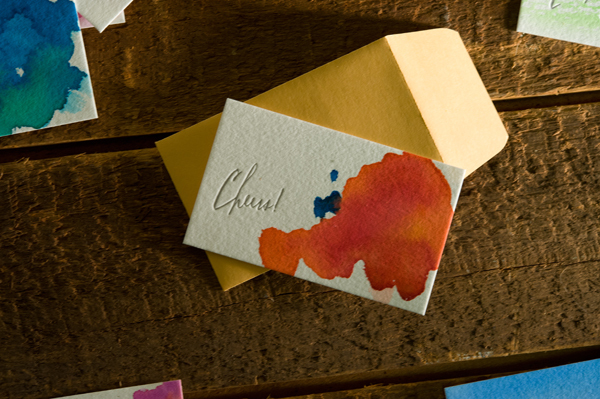 Take an abstract sideways approach, which is usually too wacky and avant-garde for a client. It’s always good to try something that’s the opposite of whatever seems obvious. Step 3. I combine steps 1 and 2 and make a mutant third version. That process can change depending on who I’m working with. I’ll usually go with the one that’s the most appropriate for the integrity of the project. DESIGNS THAT STAY TRUE TO THE CRAFT Sometimes I’m asked to design to look like letterpress when the piece is to be mass produced and offset printed. I avoid the exaggerated and over distressed look. It’s become overused and cheapens the craft. Once you see this used in a T.G.I. Friday’s commercial the jig is up! FULL TIME FUN Not running the press full time yet but I print as much as possible and hope to be running it full time by the end of the year. 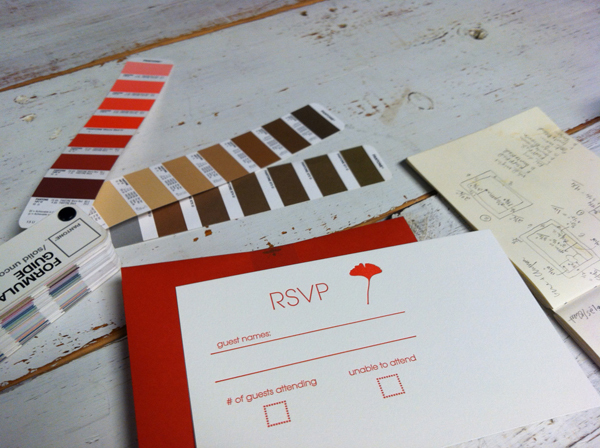 Working out some details, website and getting ready to launch X-Ray Letterpress Service. PRESS HISTORY Around 1994 while visiting my Dad I came a cross a little Kelsey 5 x 8 at a junk shop. I didn’t buy it but I told my Dad about it. He went down, purchased it and gave it to me for my birthday. I still have it. 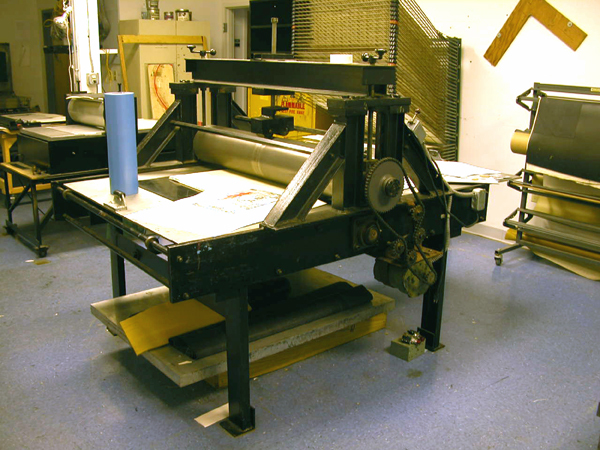 Press List: Vandercook Universal No.1, Poco Proof Press, C&P 8×10, Kelsey 5×8. Broadside of the Month Club. B.O.T.M.C. Outrun the Blast – John Brewton Sr.
BOXCAR’S ROLE I still use wood and lead type, but the Boxcar base and polymer plates have expanded the possibilities. It allows me to liberate the type and experiment in ways that I thought weren’t possible with multi color projects. SHOP TIPS I’m probably not the best guy to be giving anyone business advice so here goes nothing: Don’t print anything you don’t want to look at for more than 15 impressions. Always be sure the project (at least) pays for itself. If you’re not getting the desired result (no matter what you try and everything seems to be correct), clean off the ink, redo the tympan (packing) and start over. Always keep a keep roller gauge handy. Share your knowledge. Make the world a more interesting place with what you produce. Take your time. Have fun! Big round of thanks to Johnny for letting us get a sneak peek on X-Ray Book & Novelty Co.!